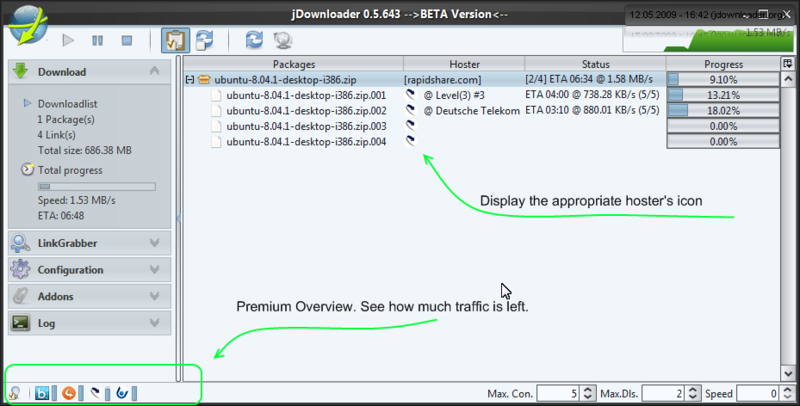 The Download accelerator 'JDownloader' soon will be released in version 0.5. Among others, the user interface has been greatly improved. In addition to normal HTTP download, JDownloader is able to download from lots of sharehosters and video sharing portals like youtube. We won't use your logo without a formally permission. Since the logo usage increases clearness and boosts your brand, we would be very happy about a short formal written agreement to support@jdownloader.org.